China's team member Zhang Chenglong celebrates a job well done. USA team member John Orozco. Nice towel. 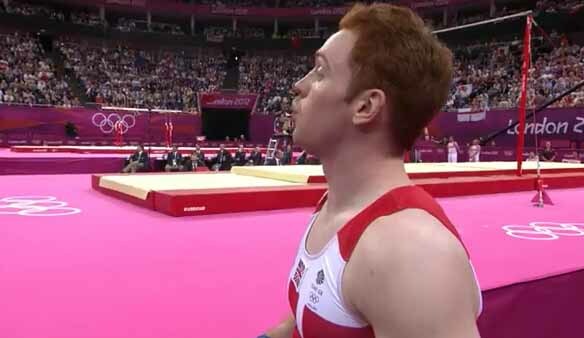 USA team member Jonathan Horton. 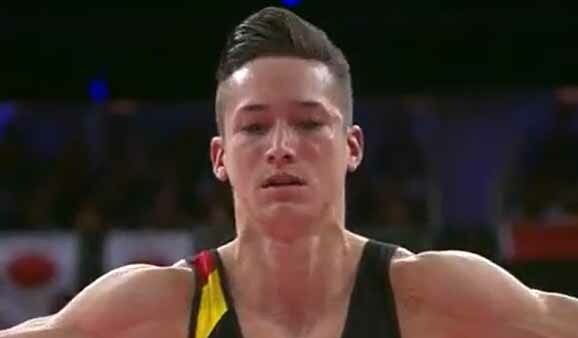 Don't German team member Marcel Nguyen and Philipp David Boy look alike? See? I'm actually having difficulty. 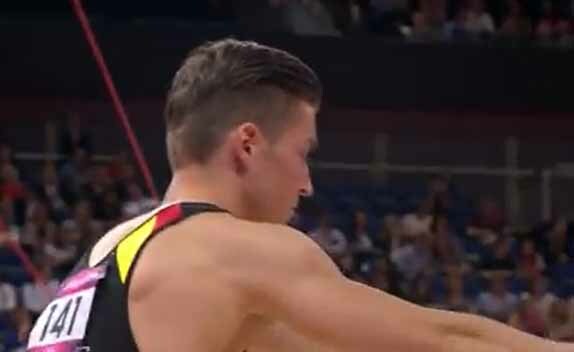 USA team member Samuel Mikulak. Russian team member David Belyavskiy. French team member Hamilton Sabot. CHINA! (Spoiler: They won.) 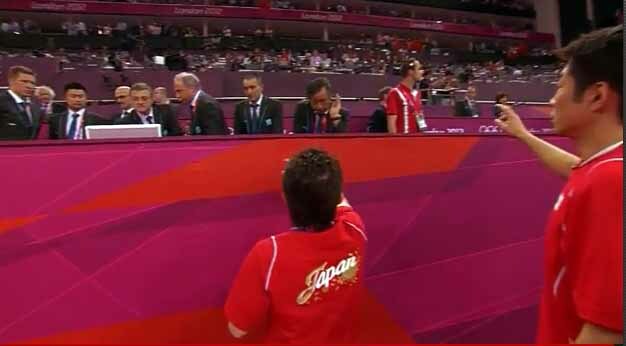 Japan came in second in the men&apos;s gymnastics team finals, but only after a little intrigue; judges took a re-look at Kohei Uchimura of Japan&apos;s pommel horse performance, which bumped Japan up from fourth place to grab silver. This meant that the U.K., who originally thought they pulled off a revelatory second place win, was moved to bronze and poor, poor Ukraine didn&apos;t medal at all. But was the upset of the U.S. team the most important thing? No. It&apos;s all about the hair. The Caesar, with a touch of front hair flip. Popularized by George Clooney. He just needs a moment to get over how good his hair looks. Classic gelled front hair flip. A modern adaptation of a look popularized by German soldiers during World War II. But with a touch more bumpit to it. A fuller, less gel-oriented 90s &apos;do. Spike tip and a faux-hawk. Who knew it was possible? You can&apos;t really see how good this faux-hawk is from the front, but it&apos;s a thing of beauty. "YEAAAA!" is what we call this look.